The main advantage of SORAnomics over Economics is that it is based on the dynamics of the human mind as explained by David Hume which was later applied by Adam Smith. Because the mind is a non-physical thing, it can remain the same throughout space and time. A human mind living 2,000 years ago has the same dynamics as a human mind living today, and the same with a human mind 2,000 years from now living in a spaceship in a different galaxy. The human mind's dynamics will only change after humans evolve into a different species (such as one with psychic abilities), and this would cause all of our maxims to be re-examined and re-tested. The natural and sustainable progress of economies is from agriculture or extraction first, then processing, and lastly, trade. In Smith's system, the countries where natural resources come from should eventually process them as well. For example, the Ivory coast, which exports cocoa, should implement policies so that it will eventually make chocolates itself. This would solve child labour for good. However, this goes against the vested interests of chocolate corporations in richer countries which profit from the low cost of raw cocoa. Campaigns against such kinds of child labour that do not address the root cause of vested interests might succeed in small cases, but can never produce any sweeping change, since those campaigns in effect urge African governments to bite the hand of business that feeds them with the taxes that they need to exist. The use of mercantile capital to build infrastructure and human capital for sustainable economic development. Since the interests of merchants are usually opposite that of society, the government should use temporary mercantile capital or 'hot money' to build its national capital so that when the merchants flee with foreign capital, the nation would have enough local capital to sustain its own economy. When China opened up, American companies left the US, leaving a lot of Americans unemployed. In today's world where the merchant class dominates and is free to remove its capital anytime, the only logical workaround is for the government itself to spend for and maintain the economy in a system called Keynesian economics. This system will also eventually create problems (currently seen in Abenomics) since it is not the government's job to do business or invest capital, and because it does not address the root cause. How Would Smith Develop A Society From The Rude State? Thus, the economic plan for the rude society will be to sell natural resources to other societies (explained in Book 1). The next question is what to sell, and this depends on what the society can supply and what other societies demand. Usually, profitable sales require high quality produce which the rude state is incapable of. However, there may be societies within the country that are more advanced (level 2 or 3), that can accept lower quality produce to be processed into higher quality sales or exports. The rude society can sell to such societies while steadily improving the quality of its production, pooling its revenue to attract more, higher quality capital. For example, if the rude state can only produce low quality grains, it can look for societies of animal breeders who needs such grains, until they gain experience to grow better grains. In return, the breeders can pay in meat or animals, to ensure the subsistence of the rude state and its continued labour. 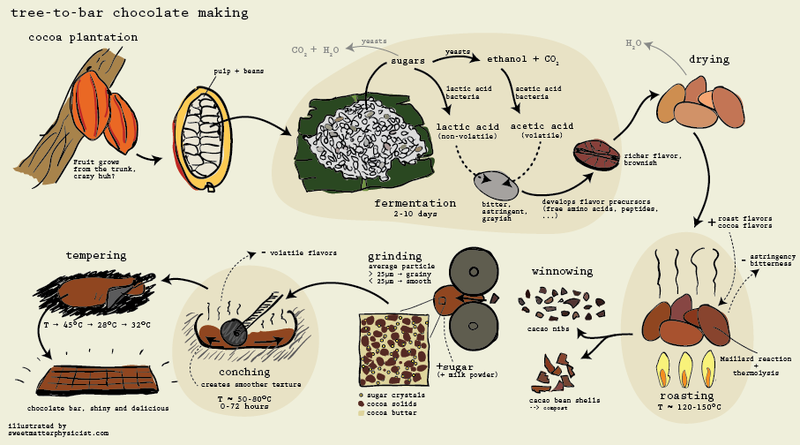 In the African case, the rural areas of the Ivory Coast, which can only produce cocoa beans (level 1), can look for more advanced societies of bean grinders and roasters in towns (level 2) to process the beans. Those roasters can look for still more advanced societies in cities (level 3) to liquify the beans into chocolate butter for making chocolates. Those cocoa processors can then turn to commercial cities and ports (level 4 or 5) to export those chocolates overseas. 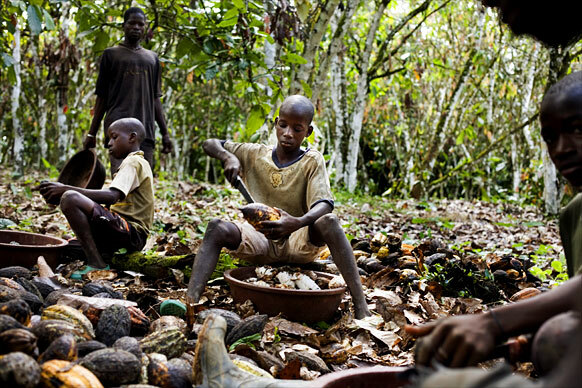 In this solution, the revenue of chocolate-making mostly goes to the Ivory Coast, instead of to overseas interests, allowing the Ivory coast to build its capital and wealth. The development of the rude state will then depend on the nature of the people, with some cultures being able to develop faster. Regardless of culture, Smith guarantees that by allowing profit-sharing or giving the people the proceeds of their own work, industry and development can be sped up. While profit sharing is the main expedient to speed up development, grain based valuation or supply chain barter is the main expedient to prevent the society from sliding backwards during economic crises.